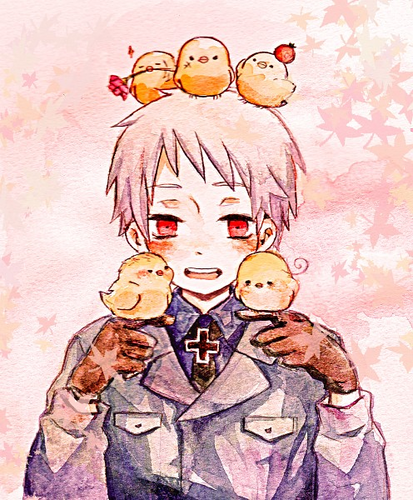 Prussia's Bird Army. 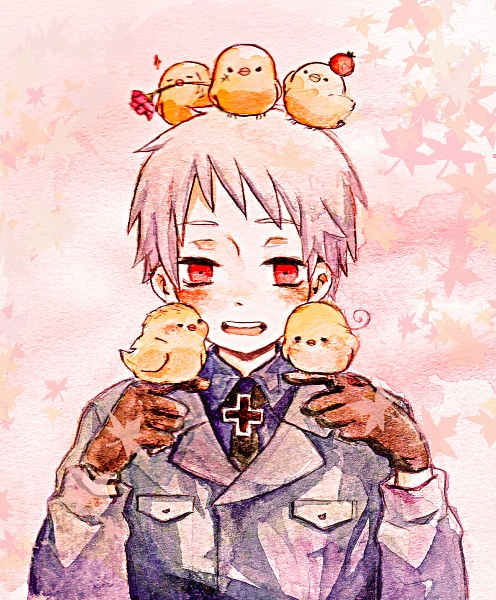 Soon, the world shall be enslaved por Prussia and his birds!! x3. Wallpaper and background images in the hetalia club tagged: hetalia prussia. I think that's the bad touch trio on his head and then the other ones are Germany and Italy.